Having a trial run for your wedding with your veil and tiara is extremely important. Clear combs are the most effective way of securing a veil discreetly and firmly, and you may need to employ matt grips in a shade similar to your hair colour for extra support. 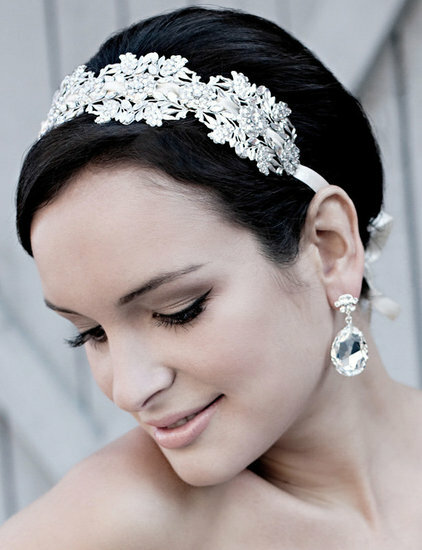 Tiaras often come with hooks for slides to be slipped into or with a comb to grip the hair as part of their design. Give your style a serious workout to make sure it has staying power, you will be miserable if you find yourself anxiously trying to balance a slipping tiara all day. Backcombing often helps give the hair texture to which things can grip, as will using product in the hair. 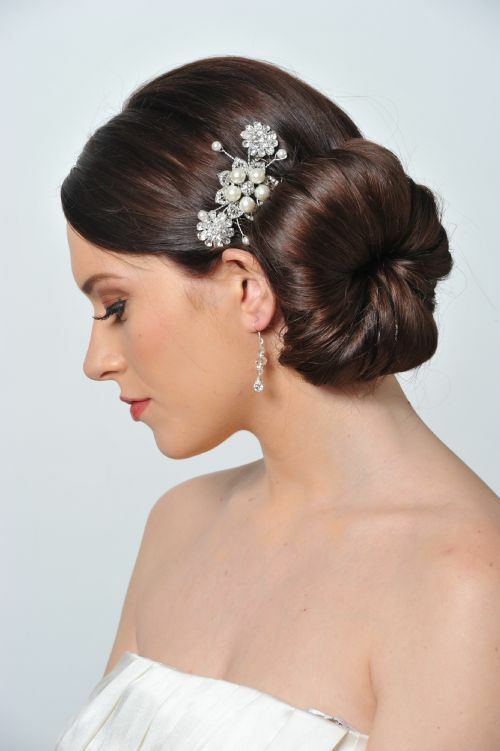 Always ask the store from which you buy your veil or tiara to show you how to secure I, they are the experts.